As an international student you are typically paired with American roommates to enhance the intercultural experience. One benefit that comes with on-campus living is housing during academic year breaks. If it is too expensive to head home, you’re welcome to stay on campus. You also will have a chance to experience the American culture by taking part in events in the hall and socializing with other residents in your building. When you stay with us, you will get a true college experience. 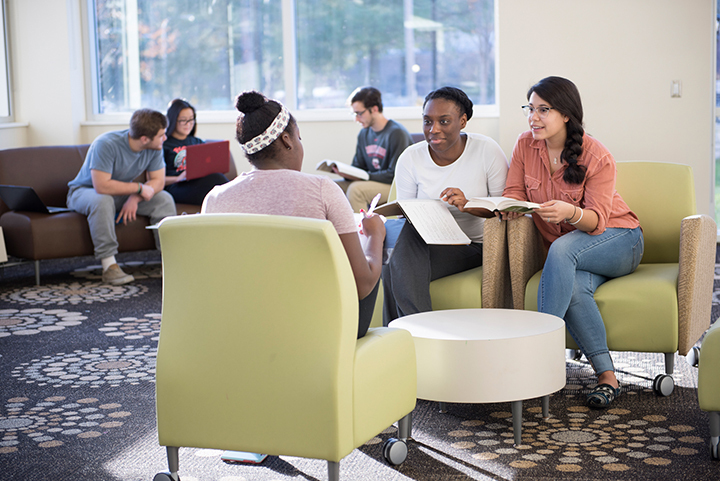 You are required to live on campus for one year (two semesters) unless you are age 21 by Aug. 31 or Jan. 15 of the semester you begin your studies at SUNY Cortland. You will have a chance to prioritize your housing request using the online Housing Preference Form. We try our hardest to accommodate your preference, but you may be assigned to any of the halls listed. Housing during breaks is available. Some pots, pans, and kitchen items might be available at West Campus Apartments, but are not guaranteed. Rooms and apartments are fully furnished. Bedding like sheets, pillows, comforters and towels. Plan on staying in a hotel if you arrive before the hall opening date or after the hall closing date. There are several breaks throughout the academic year that the residence halls will close and you will be unable to stay in your room. Break housing is available to all who complete the break housing form. If you are assigned to halls other than West Campus Apartments, the Leadership House or DeGroat Hall may need to move to a lounge or empty room in another residence hall during the break. The SUNY Cortland Room and Board License is the document that you will agree to abide by when fill out the new student Housing Preference Form. Additional policies are also listed in the Code of Student Conduct. The alcohol drinking age in New York state is 21 years of age. Students under the age of 21 are not allowed to drink alcohol or to be in the presence of someone who is drinking alcohol. SUNY Cortland is tobacco free meaning there is no use of tobacco products, including smoking, anywhere on the campus.